After WW2, bicycles made in America were heavyweight ‘balloon-tired’ machines that were not practical for long-distance commutes or touring. They were essentially recreational machines. But in Great Britain, saddled with repaying war debts to America, bicycles were just about the only form of transport available to the average person. Practicality was essential. An Indian 3-speed bike is the best Christmas present anyone could get. Beautifully made, 20 pounds lighter than balloon-tired bikes, and fitted with the Sturmey Archer 3-speed hub. No matter whether it’s uphill or down, the Indian pedals easier and goes faster with less effort. It’s the bike for you! Extra safe, too, with two-wheel brakes. This Indian Scout was my daily rider in 2010. I already owned one. In fact, I’d imported it at some cost from America. But then this one turned up. This one has the most fabulous original transfers. How could any boy resist a bicycle with this wonderful INDIAN SCOUT decal on its chaincase? It’s not generally known that in 1948 one of the greatest American bicycle and motorcycle manufacturers attached its badges to a bicycle that was not only mundane …but also British. 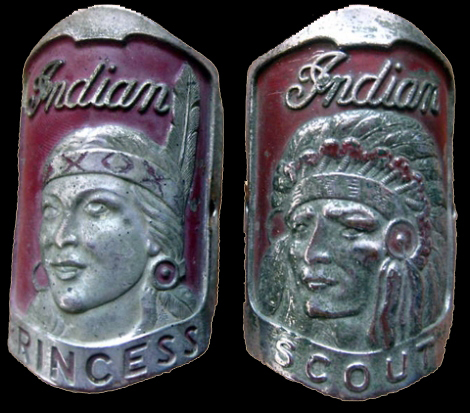 The Indian Princess was the ladies model, and the Indian Scout was the Gents. 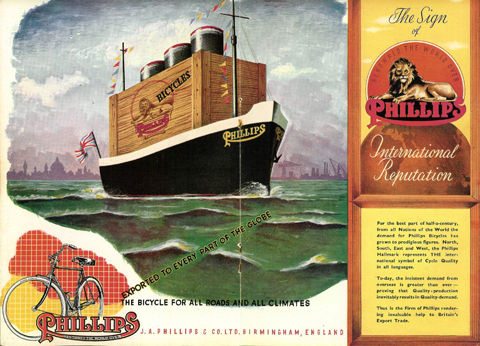 And the British bicycle manufacturer whose exported bicycles bathed in Indian’s reflected glory? 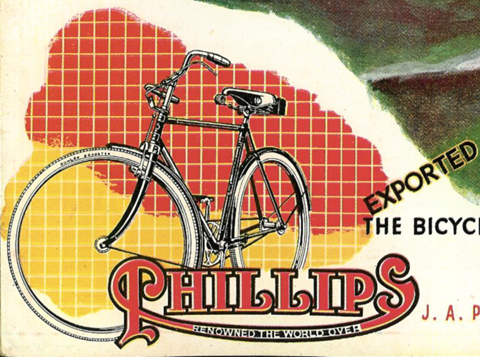 Phillips were one of the top British bicycle exporters. 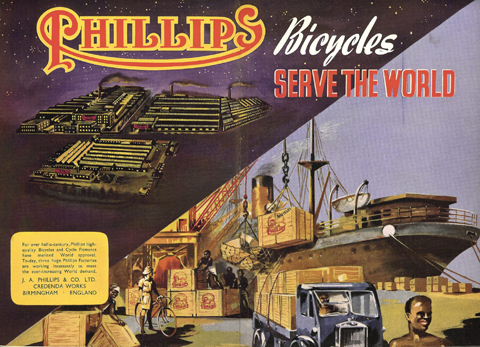 Industry was nationalized during the war, and that Phillips made military bicycles. After WW2, in the national drive to repay war debts to the USA, the British bicycle industry had government assistance to help bring in the much-needed foreign exchange to rebuild our economy. 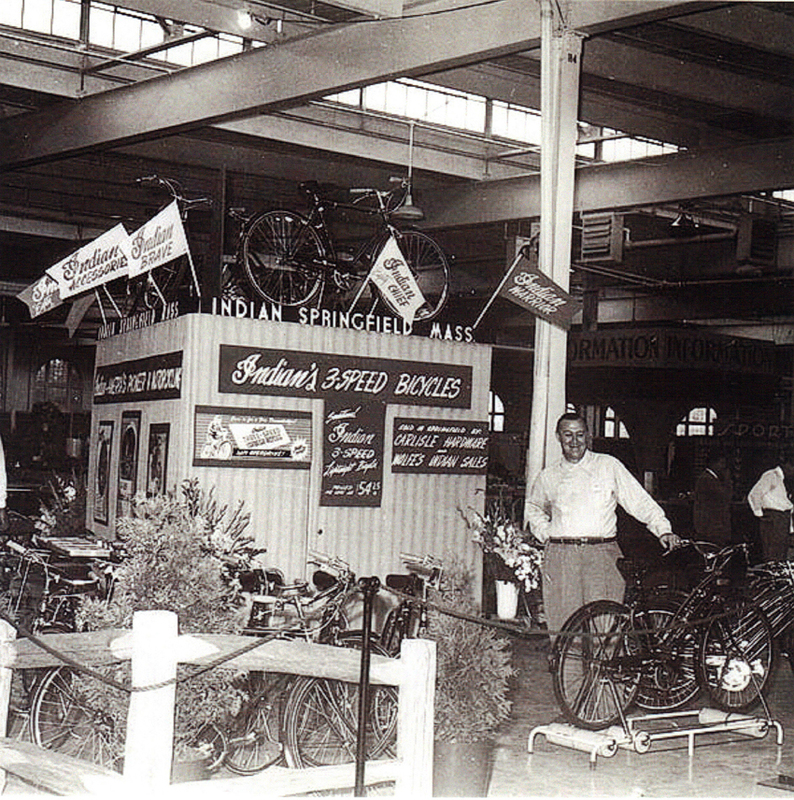 The Phillips bicycle in the 1947 ad above looks very similar to the Indian Scout. The ad below is from 1949. This saddle is very much rarer than this Indian Scout bicycle. It’s actually French. I’ve no idea if it is associated with the Hendee Indian company, or if it simply capitalized on the name. In case you’re wondering, the unusual background is bright green algae. The location for these photos is Ovingdean Beach, characterized by serrated wrack draped over chalk boulders. Between 1896 and 1901 this was the site of the ill-fated Brighton and Rottingdean Seashore Electric Railway – known as the Daddy Longlegs because the track was raised on concrete pillars.